The Irwin family – Natalie, Andy, Peter, and John – have been instrumental in the operations of the Alexandra Baseball club ever since they heard about it in 2012 and took over the reins from Sine Thieme when she and her family relocated to the United States in early 2013. Below, Natalie talks about how hard it was for herself and her family when it was their turn to leave South Africa and the players of Alexandra Baseball. Why are we doing this? Well, because saying goodbye to Alexandra Baseball was our hardest goodbye leaving South Africa. Hindsight is 20/20. How hard life is in a township. In 2017, it is difficult to wrap your head around that people can live without electricity and running water. Only one player’s family in the entire Alexandra Baseball Club had a car. Most of our players sleep in the same bed with a brother, sister, nephew…or ona mat on the floor. Right now it is winter in South Africa and it is cold. Most of our players only have paraffin to heat at night and that is very dangerous. How fragile Alexandra Baseball really was. This is not your normal Little League in the United States. The players struggle with having enough to eat. It is hard to play a baseball game when you are hungry. 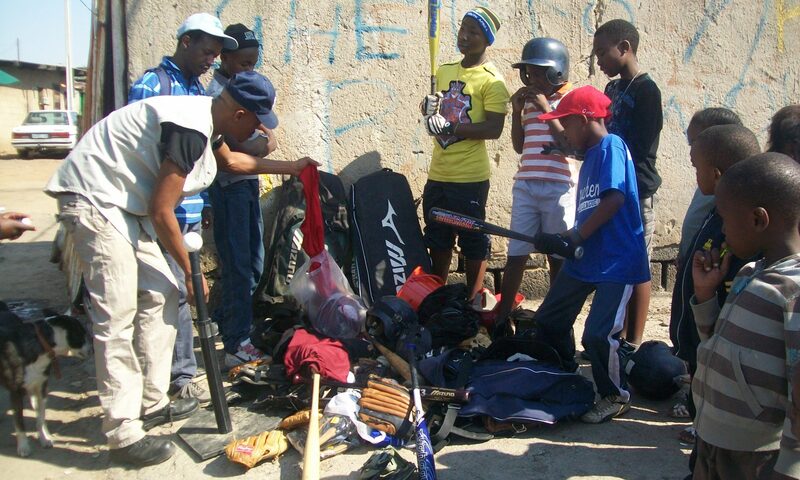 Through donations from the US over the years we have been able to give players 1 pair of baseball pants, 1 pair of cleats, a pair of socks but no one has their own helmet or bat or monogrammed baseball bag or glove. And then what happens when your players grow? How important it was to help all of baseball in Johannesburg. As Alexandra Baseball got better at baseball, it helped the competition in Gauteng (the province where Johannesburg is located). It was amazing to see the relationships that developed over the years and how we were able to help new clubs like Palm Ridge enter the league. But, all of the clubs have similar needs. They all need baseballs, baseball pants, bats…the basics. How difficult school is and finding a job. This might be our biggest regret. Our players often made uninformed subject choices like taking math(s) literacy instead of math(s) that then limits them getting into university. Finding a job can be impossible when you have nothing to wear to the interview, have no money and no transportation to the interview, you have to go to an internet cafe to use a computer. The obstacles are endless. The youth unemployment rate in South Africa is shocking. So, as Africa On Deck gets off the ground we will share with you the best story about baseball that’s not about baseball. And you will see why it was so hard to say good-bye.